I had coffee with a Lifestyle blogger who lives in my area the other day and we struck up a friendship. I discovered something really interesting. Most of her current blogging income is derived from the Linked In course she has created and sells. And she gets most of her sales leads from networking (attending networking meetings) and referrals (from happy clients). It reminded me how important personal relationships are in business. As a blogger or small business owner, it’s as important to cultivate personal relationships as it is to develop a marketing strategy. And they are all interlinked. Which is why the advice in the contributed post below rang so true for me. If you are a mother who has a small business then you will know how hard it can be to juggle the kids as well as your clients. The main thing that you have to remember here is that it is more than possible for you to go on to be a huge success and it is also more than possible for you to achieve almost anything that you have ever wanted as well. All you have to do is believe in yourself while also making sure that you are doing everything you can to focus your energy in the right places. Social media really is one of the best ways for you to take your small business to that next level. 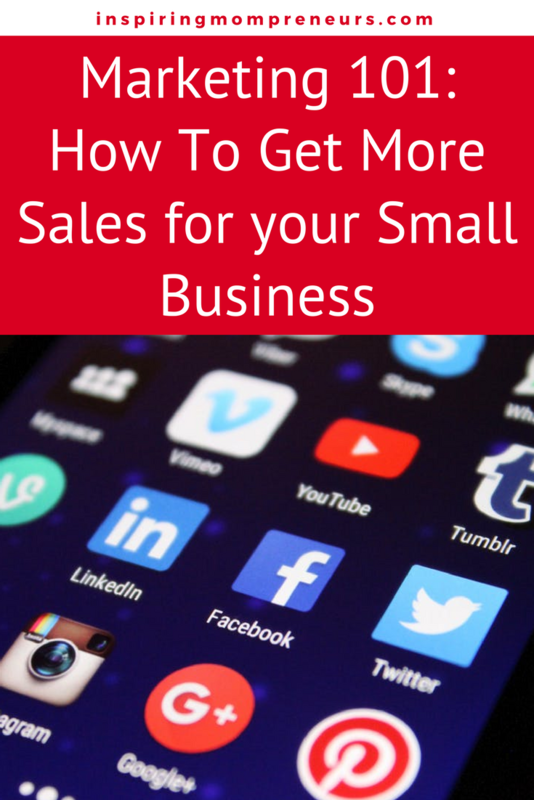 You’ll need to make sure that your business is on social media and you’ll also want to make sure that you are connecting with your customers properly as well. If you are not using social media to your full advantage then your business will certainly be missing out, so if you do happen to amount some followers on social media, try and make conversation with them. Ask them what they need from your business and make a few friends along the way. This will help you to get a personal connection with your followers and it also opens up new avenues of conversation that could go on to ensure your own success! If you work in the business of selling products or if you work as an affiliate seller then you’ll want to make sure that you are using the right language. Imagine asking someone if you can “have some money to use the phone” and then asking the same person “if they would mind lending you some money so you can use the phone because you need to make an emergency call”. Which sounds better? The same concept applies to sales, and even though both messages are saying the exact same thing, they are said in different ways and this can make all of the difference when you are trying to make a sale. It may even help you to take a course for your sales pitch as well, so you can learn what to say and what not to say. Your site is essentially the front to your business. If you don’t own a brick and mortar store then it is the only first impression that you are ever going to make. If your site isn’t up to scratch then you will be missing out on sales. If you want to avoid this then consider website migrations or even think about getting a professional to design the site for you. When you do this, you can be sure to get the best result out of your site and you can also be sure to get more sales on a day to day basis. The main reason for this is because if your site looks more professional then you come across as being more trustworthy, and this is something that you can’t put a price on. Your site plays as much of a part in your sales as your pitch and the product that you are selling! How do you get most of your sales leads? Online or offline, or a combination of both? Social media is definitely a must place to be if you want to improve on your business success. The problem for most people is that they want instant result. But like you said, you have to build relationships and trust on social media platforms before you can successfully sell to people. This takes time and not a lot of people understand that. In addition there are lots of small businesses out there without a website, which is essential if you want to market online.